The money was controversially paid to McKinsey for work done towards Eskom’s turnaround programme. McKinsey and Eskom said on Friday the consultancy firm has agreed to pay back R902 million to the power utility. McKinsey issued a statement stressing that the agreement was a full and final settlement and was not an admission of wrongdoing on its part. Eskom said it was part of a drive to recover all money it paid in contravention of the Public Finance Management Act. “We are therefore pleased to have made strides in this journey as we today finalised a settlement agreement that will see McKinsey pay back the R1 billion paid to it by Eskom under the turnaround programme. The process has taken longer than what would have been ideal however it was of importance that we ensure that an appropriate and transparent legal process is followed,” it said in a statement. The money was controversially paid to McKinsey for work done towards the turnaround programme. McKinsey had a contract with Eskom for the turnaround programme. The Asset Forfeiture Unit (AFU) obtained a freeze order on the funds in question while the parties negotiated a settlement. “We are thankful that this hard and difficult journey has yielded positive results. We are equally appreciative of the support and cooperation we have received from McKinsey and the AFU. This for us further demonstrates that we are serious about consequence management and achieving a renewed culture of accountability and good governance which is key to our sustained success,” said Eskom Group Chief Executive Phakamani Hadebe. Eskom said since the Gupta linked firm Trillian was not party to the agreement, it would continue to seek repayment of money paid to the company. 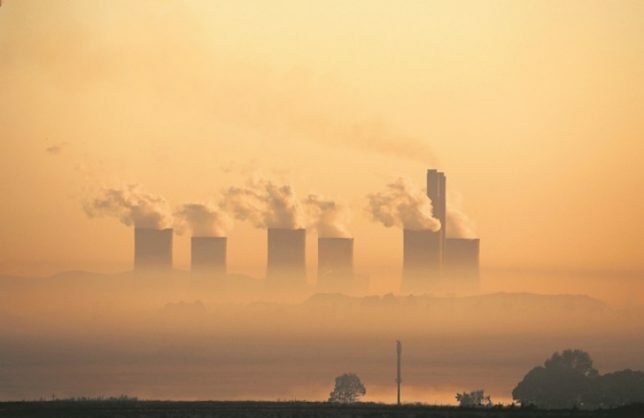 The National Prosecuting Authority has charged that Eskom paid McKinsey and Trillian almost R1.6 billion irregularly and that Trillian had not rendered any services to the power utility for the money it received. NOTE: This story was corrected at 11:17 on Saturday to clarify that McKinsey did indeed have a contract with Eskom after an alert and update was issued by ANA to that effect.